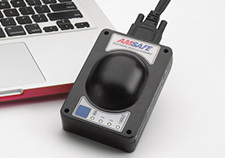 The AmSafe's Seatbelt Airbag System was developed as a cost-effective method of 16g, FAR/CS 25.562 compliance for difficult to certify seat placements. 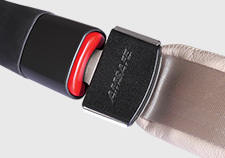 Over 150,000 of AmSafe's Seatbelt Airbag Systems are in-service on over 100 airlines. 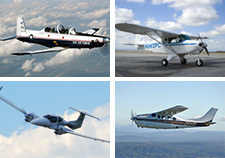 The system is certified on all major airframes. In the event of an otherwise survivable accident, AmSafe's Seatbelt Airbag System protects passengers of all sizes from traumatic head and neck injury. AmSafe Airbag and Pretensioner Systems are used to meet 14 CFR Part 25.562 16g and 14 CFR Part 23.562 26g requirements in pilot / co-pilot / passenger seats. The systems provide the additional safety needed in a survivable impact. 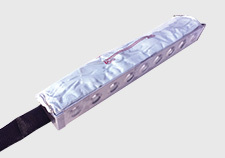 AmSafe Airbag and Pretensioner Systems are self-contained, modular restraint systems. Airbag systems also include the Inflator Assembly, Electronics Module Assembly and Cable Interface Assembly. 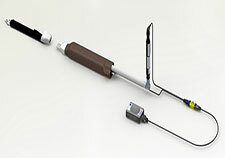 Pretensioner systems use the Electronics Module Assembly and Cable Interface Assembly. 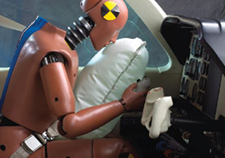 Airbags Modules mounted in the forward strike hazard, or seatback, using AmSafe’s patented active-positioning concept to ensure safety for all size occupants during airbag deployment. 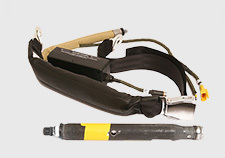 Shoulder-Harness airbags for Pilot and Co-pilot seats, or any seat requiring a multi-point restraint with a shoulder harness. The airbag prevents head impact, neck and flailing injuries. 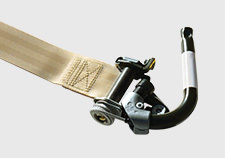 Anti-Leg Flail Airbag Modules prevent femur injury on side-facing divans. Seatbelt Pretensioners that retract the lap belt or shoulder harness in milliseconds, reducing forward head excursion by up to 4.5” over standard restraints.